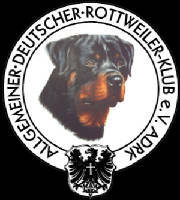 Rottweiler Klub of North America (RKNA) Ch. Wasko is our new, ADRK, pink papered German import, ROTTWEILER STUD from the world famous "von der Urbacher Höhe" kennel in Urbach, Germany. Wasko is on of the nicest Kliff von der Crossener Ranch sons there is. He is also grandson of the world famous Filou vom Rauberweg. 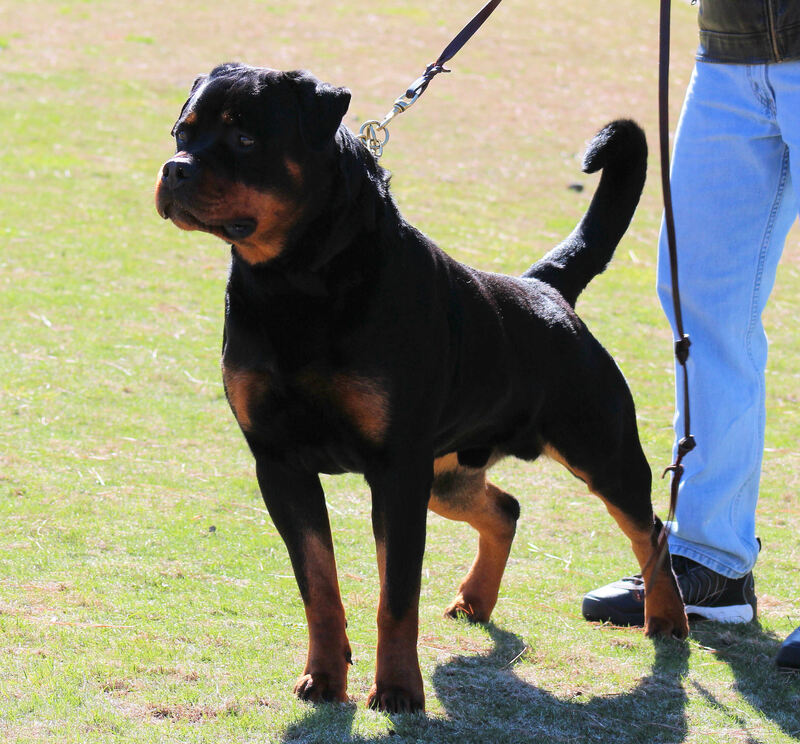 Wasko is a medium to large (65cm) tall, (76cm) long male rottweiler with excellent type. He has an extreme head, short broad muzzle with a pronounced stop and dark eyes (2a) with mostly dark mouth pigment. Wasko has excellent top and bottom lines, excellent front and rear angulations with very rich, clearly defined, mahogany markings. Not only is Wasko nice to look at, he has proven him self on the working field earning a BH/VT, AD, ZTP & VPG/IPO I in Germany with handler, trainer Daniel Kemp. of the correct size, appropriate bone strength, calm attention, strong head, short broad muzzle, medium-sized correctly carried ears, brown eyes, lips and gum as sufficient dark, good chest width and depth, front and rear well angulated, Fluid movement, scissor bite, Tail is saber forming.